The greatest advantage of the flamethrower is its ability to penetrate small openings and fill fortified positions with both fire and smoke. Thus, the enemy either burns or asphyxiates due to the lack of oxygen available to breathe. 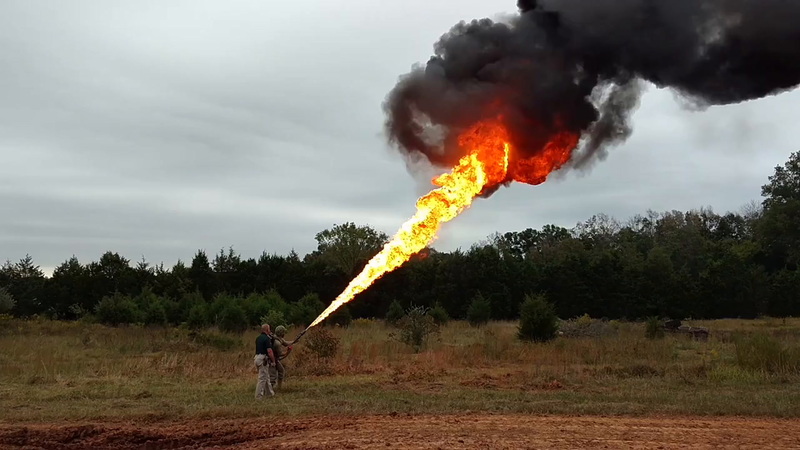 In the urban environment, the flamethrower can shoot fire around corners to enhance movement past dead or blind angles. Besides causing death and destruction, the flamethrower can greatly impact an enemy psychologically. According to several historical examples, the enemy normally surrenders before submitting themselves to a flame attack. They would rather be captured than burned. While the Defense Department ramped up research on both man-portable and vehicle-mounted incendiary weapons following World War II, the system fell into disfavor during the Vietnam War as horrifying imagery like “Napalm Girl” — the 1972 Pulitzer Prize-winning photo of a naked 9-year-old girl fleeing after surviving a napalm attack — turned the American public against incendiary weapons. DoD issued a directive in 1978 effectively retiring the weapon from battlefield use. This means that, tactically, there are several potential applications of the flamethrower to modern counter-terrorism operations. But while the branch considered returning the weapon to the branch’s arsenal for defense purposes in the early years of the Global War on Terror, the enduring notoriety that has followed incendiary weapons since napalm his the battlefields of Vietnam has, to Krohn, deprived combat troops of an essential force protection tool. “I have never spoken to an active-duty soldier involved in close combat that wouldn’t want all the protection that science and technology can make available,” he told Task & Purpose. 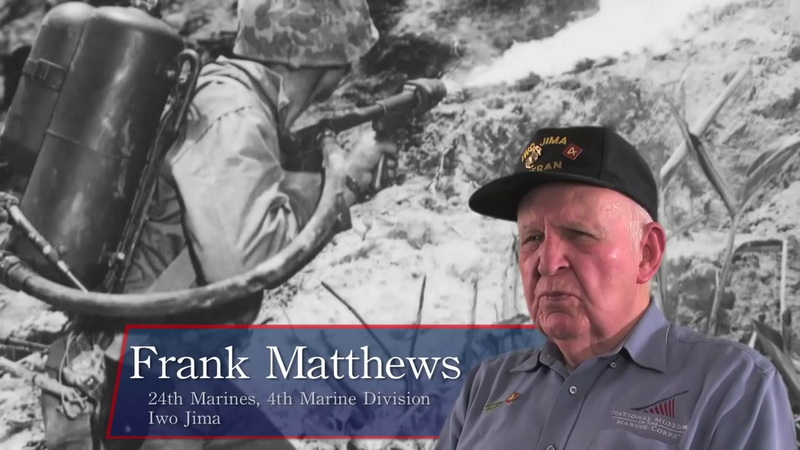 Krohn would know: During the Tet Offensive, his battalion was surrounded by a North Vietnamese army regiment during the Battle of Huế in February 1968, leaving Krohn as one of the only survivors. Had his team been equipped with an overwhelming, far-reaching incendiary for force protection, he told Task & Purpose, the outcome might have been different. In The Lost Battalion of Tet, Krohn recalls two simultaneous NVA attacks on U.S. military outposts on Jan. 3, 1968 that both offered lessons in incendiary warfare: LZ Leslie, attacked by NVA fighters outfitted with flamethrowers “with great effectiveness,” overrunning the location after a 12-hour siege and “offering a lesson in terror survivors tend not to forget.” The other, at LZ Ross, resulted in 242 NVA soldiers dead — and only one KIA among U.S. and allied forces. Why was the defense of Ross more successful than Leslie? According to Krohn, the soldiers at Ross had enhanced their perimeter with a fougasse — an improvised mortar developed by French military engineers — that consisted of 55-gallon drums filled with thickened gasoline. Each drum was filled with rocks and pointed outward along the perimeter, with a wire running from an igniter on the bottom to a fortified safe point. During a prolonged attack on a firebase outside of friendly artillery range, Krohn says, soldiers and Marines would use the fougasse as a last-ditch defense. 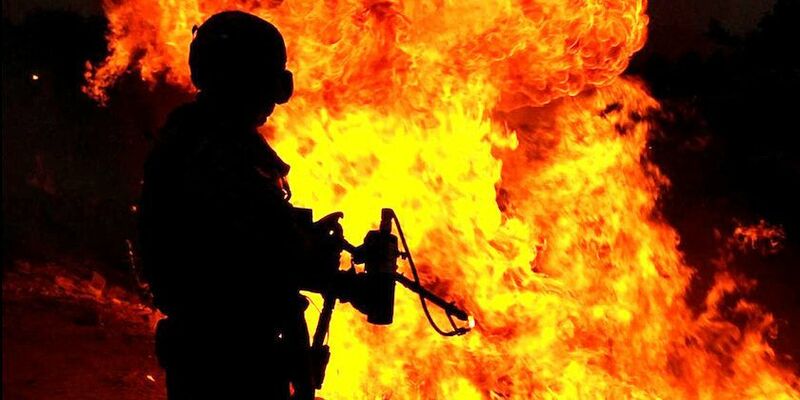 Luckily, service members won’t need to wait long to get your hands on a flamethrower: In the United States, there are zero regulations, licenses, or background checks required for purchasing or operating a civilian-made tool of incendiary chaos in 48 states. And if all goes according to plan, billionaire tech entrepreneur Elon Musk will have a slick $600 model for you just in time for Christmas.